You must buy a minimum of 2 at a time due to manufacturer packaging. Keep it cool or hot with the Vollrath 46669 double wall round satin-finished 10.1 qt. serving bowl. With its unique double wall design, your food will stay hot or chilled longer than in a conventional bowl, with no preheating or chilling required. 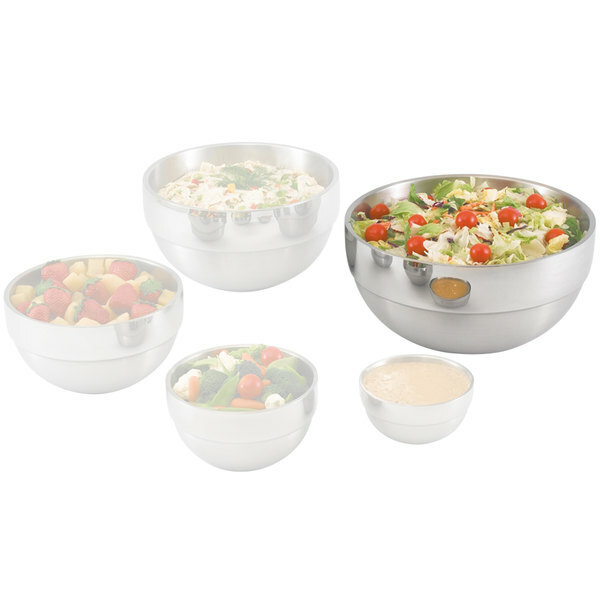 Each bowl is made of 18/8 stainless steel with a satin-finished exterior with contrasting mirror-finished rings. The interior is also satin-finished to hide scratches and wear. 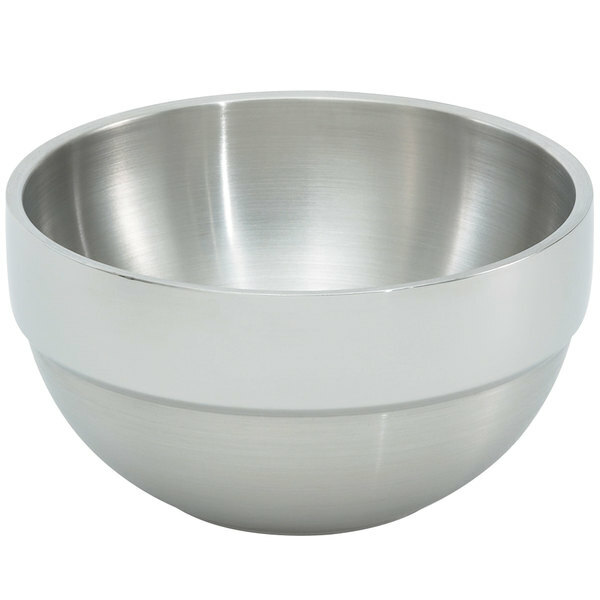 All of Vollrath's double wall insulated stainless steel serving bowls provide superior insulation to maintain proper food temperatures.